Is ECO-Organic Vegetable Gardening right for me or is it just Magic? Posted 4:35 pm by Chris & filed under Organic Gardening. We all know how much hard work there is organic vegetable gardening right? The digging, weeding, crop rotation, watering, fertilizing, planting winter crops, resting beds, spraying pests and weeds – the list goes on and on. So imagine a vegetable garden that didn’t need any of these things. Imagine a garden that never had pests, never needed digging, didn’t need to be rested in winter, had no need for crop rotation, had virtually no weeds, needed very little water and virtually looked after itself. But to top all that off, this garden produces many times more than a traditional vegetable garden and regenerates itself year after year, all by itself. Surely, that would be magic! How could a vegetable garden like this exist? Easily! The answer is in nature. Natural ecosystems are very healthy and diverse and don’t require any human interference. If we are able to take the same natural laws that are found in nature and apply them to our garden, we are able to reproduce organic vegetable gardening. And that’s exactly what the Food4Wealth method has done. The Food4Wealth method is based on science. It follows very sound ecological principles. It’s a way of setting up a natural ecosystem using edible plants, and it uses the types of plants we all like to eat. The special planting arrangement mimics nature so the same interdependent relationships between the living components exist. These relationships are mutually beneficial for the various components, so the vegetable garden actually runs all by itself. The people in the family who own the Food4Wealth plot are actually one of the important living components. They perform a similar task to a grazing animals in a natural ecosystem. The Food4Wealth plot actually benefits from regular harvesting, just as a natural ecosystem benefits from regular grazing. These plots are so prolific, that they need almost daily harvesting. Regular harvesting maintains the ideal vegetation balance required to run the garden like a natural ecosystem. It’s the ultimate win win situation. Harvesting is good for the people, but it’s also good for the garden. The biggest challenge that faces modern organic vegetable gardening practices is to incorporate pest ecology, plant ecology, soil ecology and crop management into a method that is reliable and efficient. And until now, that has never been achieved. The Food4Wealth method naturally combines all of these factors without any effort. You see, nature has had these things under control for millions of years. It’s only humans who have made things more complicated. But the path is now clear, organic vegetable gardening is possible because Food4Wealth has laid the foundations for a healthier, more efficient and reliable way to grow food. It’s a simple method that sets things up as nature intended, so that problems simply don’t exist. So, to answer the question – is it magic? No, it isn’t magic, but it sure feels like it. Posted 4:28 pm by Chris & filed under Organic Gardening. 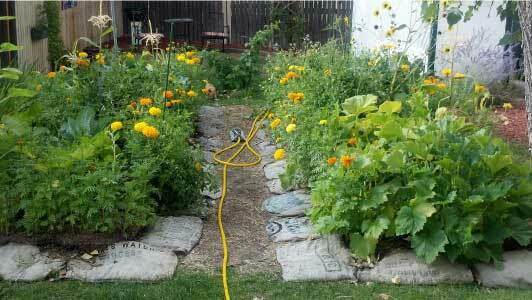 Permaculture is the system that I have chosen to grow healthy produce and build my organic garden. It can be a great option for you also. By Jonathan White, environmental scientist. Traditional vegetable gardens require an enormous amount of hard work and attention – weeding, feeding and strict planting schedules. There is also the problem of seasonality, allowing beds to rest during the cooler months producing nothing at all. Then we are told to plant green manure crops, add inorganic fertilizers and chemicals to adjust imbalanced soils. It takes a lot of time, dedication and a year-round commitment to grow your own food the traditional way. But does it really need to be that difficult? Does a forest need to think how to grow? Does its soil need to be turned every season? Does someone come along every so often and plant seeds or take pH tests? Does it get weeded or sprayed with toxic chemicals? Traditional vegetable gardening techniques are focused on problems. Have you noticed that gardening books are full of ways to fix problems? I was a traditional gardener for many years and I found that the solution to most problems simply caused a new set of problems. In other words, the problem with problems is that problems create more problems. Let’s take a Look at a Common Traditional Gardening Practice. I will show you how a single problem can escalate into a whole host of problems. Imagine a traditional vegetable garden, planted with rows of various vegetables. There are fairly large bare patches between the vegetables. To a traditional gardener, a bare patch is just a bare patch. But to an ecologist, a bare patch is an empty niche space. An empty niche space is simply an invitation for new life forms to take up residency. Nature does not tolerate empty niche spaces and the most successful niche space fillers are weeds. That’s what a weed is in ecological terms – a niche space filler. Weeds are very good colonizing plants. If they weren’t, they wouldn’t be called weeds. Now back to our story. Weeds will grow in the empty niche spaces. Quite often there are too many weeds to pick out individually, so the traditional gardener uses a hoe to turn them into the soil. I have read in many gardening books, even organic gardening books, that your hoe is your best friend. So the message we are getting is that using a hoe is the solution to a problem. However, I would like to show you how using a hoe actually creates a new set of problems. Firstly, turning soil excites weed seeds, creating a new explosion of weeds. Secondly, turning soil upsets the soil ecology. The top layer of soil is generally dry and structureless. By turning it, you are placing deeper structured soil on the surface and putting the structureless soil underneath. Over time, the band of structureless soil widens. Structureless soil has far less moisture holding capacity, so the garden now needs more water to keep the plants alive.In addition to this problem, structureless soil cannot pass its nutrients onto the plants as effectively. The garden now also needs the addition of fertilizers. Many fertilizers kill the soil biology which is very important in building soil structure and plant nutrient availability. The soil will eventually turn into a dead substance that doesn’t have the correct balance of nutrients to grow fully developed foods. The foods will actually lack vitamins and minerals. This problem has already occurred in modern-day agriculture. Dr Tim Lobstein, Director of the Food Commission said. “… today’s agriculture does not allow the soil to enrich itself, but depends on chemical fertilisers that don’t replace the wide variety of nutrients plants and humans need.” Over the past 60 years commercially grown foods have experienced a significant reduction in nutrient and mineral content. Can you see how we started with the problem of weeds, but ended up with the new problems of lower water-holding capacity and infertile soils? And eventually, we have the potentially serious problem of growing food with low nutrient content. Traditional gardening techniques only ever strive to fix the symptom and not the cause. However, there is a solution! We must use a technique that combines pest ecology, plant ecology, soil ecology and crop management into a method that addresses the causes of these problems. This technique must be efficient enough to be economically viable. It also needs to be able to produce enough food, per given area, to compete against traditional techniques. 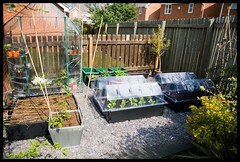 I have been testing an ecologically-based method of growing food for several years. This method uses zero tillage, zero chemicals, has minimal weeds and requires a fraction of the physical attention (when compared to traditional vegetable gardening). It also produces several times more, per given area, and provides food every single day of the year. My ecologically-based garden mimics nature in such a way that the garden looks and acts like a natural ecosystem. Succession layering of plants (just as we see in natural ecosystems) offers natural pest management. It also naturally eliminates the need for crop rotation, resting beds or green manure crops. Soil management is addressed in a natural way, and the result is that the soil’s structure and fertility get richer and richer, year after year. Another benefit of this method is automatic regeneration through self-seeding. This occurs naturally as dormant seeds germinate; filling empty niche spaces with desirable plants, and not weeds. Unfortunately, the biggest challenge this method faces is convincing traditional gardeners of its benefits. Like many industries, the gardening industry gets stuck in doing things a certain way. The ecologically-based method requires such little human intervention that, in my opinion, many people will get frustrated with the lack of needing to control what’s happening. Naturally people love to take control of their lives, but with this method you are allowing nature to take the reins. It’s a test of faith in very simple natural laws. However, in my experience these natural laws are 100% reliable. Another reason that traditional gardeners may not like this method is that it takes away all the mysticism of being an expert. You see, this method is so simple that any person, anywhere in the world, under any conditions, can do it. And for a veteran gardener it can actually be quite threatening when an embarrassingly simple solution comes along. I have no doubt that this is the way we will be growing food in the future. It’s just commonsense. Why wouldn’t we use a method that produces many times more food with a fraction of the effort? I know it will take a little while to convince people that growing food is actually very instinctual and straightforward, but with persistence and proper explanation, people will embrace this method. Ecological Gardening, Love the Garden, not the Weeding? Posted 2:20 pm by Chris & filed under Organic Gardening. I want a Garden for Healthy food, But I do not want to spend endless hours weeding the garden. Ecological Gardening is the Answer, Read below what it is. That is why I have chosen this avenue, and will implement it as I move forward with my Garden. Written by Jonathan White B.App.Sci. Assoc. Dip.App. Sci. The term Ecological Gardening seems to be gaining popularity. But what is it? My experience with Ecological Gardening started many years ago. You see, I have always been a fence sitter. As a teenager I could never make my mind up whether I wanted to be a horticulturist or an environmental scientist. And sometimes I’m still a little unsure! Fortunately, I have been able to gain qualifications in both. My specialty is in growing food using ecological principles. But I’m not talking about some sort of alternative hippie technique. I’m talking about sound scientific principles. In my experience, the study of natural ecosystems will reveal everything we need to know about growing food. 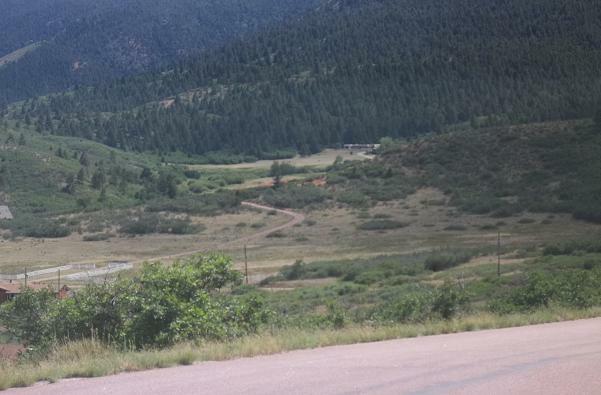 Natural ecosystems are generally diverse and there are a number of intricate interdependent relationships occurring between the living and non-living components at any given time. Put simply, each component relies and benefits from its interaction with other components. They fuel up on each other, causing the system to be able to sustain itself. If one part of the system gets ‘out of whack’, the whole system is affected. When studying a natural ecosystem, such as a diverse pristine rainforest we find that there are many living components co-existing in a given area. Each of these components occupies a niche space. If a component, let’s say a plant, is removed by an animal eating it, we are left with an empty niche. An empty niche provides an opportunity for another life form to fill the space. In natural ecosystems, nature does not tolerate empty niche spaces. Once the niche becomes available, there will be a whole host of willing opportunists ready to fill that space. Dormant seeds, sometimes decades old, will spring to life and quickly try to occupy it. The same thing happens when we are trying to grow food. In any agricultural practice, such as a vegetable garden, there are always empty niche spaces. And remember, nature doesn’t tolerate empty niche spaces. So weeds will try to fill the empty niche spaces. Weeds are very good niche space fillers. They are the ultimate colonizing plants. So as we can see there is no difference in the way nature works, whether it is in a pristine natural ecosystem or a vegetable garden. Ecological Gardening aims to create a system where nature works for us, and not against us. It is actually quite easy to have a weed-free vegetable garden. You simply do one of two things. Firstly, you avoid having empty niche spaces. And secondly, you make sure there is something desirable to fill niche spaces, should they become available. That’s just one simple example, but Ecological Gardening can easily prevent a number of problems from ever arising. My experience with Ecological Gardening has been phenomenal. I have been able to combine natural weed management, soil ecology, pest ecology and crop management into a very simple and easy method. In fact, I have been able to create a garden that requires very little attention and produces far more than a traditional vegetable garden, simply by applying sound scientific principles. And from the incredible results that I have achieved, I can say, with absolute certainty, that Ecological Gardening is the way we will be producing food in the future. Jonathan White is an Environmental Scientist and the founder of the Food4Wealth Method. Let me know what you think! I have a small school in Colorado, and they are going to start a garden using Jonathan White’s Food4Wealth . This is one important segment of becoming a Permaculturist! Sign Up for email s from us as we work to complete our Forum to help each other build our Farms. How do I get the land to farm? Do I purchase or Lease? Posted 9:26 pm by Chris & filed under Land. How do I get the land to farm? Do I purchase or Lease? This is the next question that I need to answer. Do I want to farm fish? That is something that I need to research more. There is so much to do and decide on to make my business a success. One of the questions that I wish people would ask me about my choices is Why? What drives me to have such a strong desire to want, no “NEED” to farm? Have you felt that way? I feel so strongly about this quest, but I want to be sure that I plan the farm to not only be profitable, but also fun!! So How do I get away from all of the distractions and offers of help or training, to provide what I need to do to reach that goal? I have had quite a few Gardens, and even picked fruit in the fields growing up in California as a young girl. So I have decided to Interview a few Women that have already started their farms, and are successfully creating an income that sustains them full time, but also allows them time off. The first thing that every farmer told me about is the relationship that they have with their customers. Something I already know about and believe in. 1. Customer Service – This is about how well you deliver the product or service that you sell. 2. Confidence – This comes from the customer knowing what to expect – and getting it. The experience becomes predictable. 3. The product or service works – No matter how nice you are (customer service) if the product doesn’t do what it is supposed to do, you will probably lose the customer. A recent study conducted by Marco Costa, of the University of Bologna, as reported in the Harvard Business Review (September 2011) sparked an idea that could improve the customer experience, which would further move the customer toward loyalty. Costa’s study indicated that 66% of students observed in lecture halls over a six week period chose the same seat, or an adjacent one, every time. The study, titled “Territorial Behavior in Public Settings,” suggests that restaurants and hotels could boost satisfaction by giving repeat customers the same table or room on each visit. From an internal customer service perspective, the study suggests that companies could reduce worker anxiety by holding recurring meetings in the same conference room. The idea falls in the area of predictability. More than creating a predictable customer experience through service, which is typically delivered by people, look for ways to repeat a tangible or physical part of the experience. This appeals to the customer’s senses. A repeat of the physical layout, putting the customer at the table they are familiar with, a memorable smell, a familiar type of music in the background; all of these are tangible and add a big layer of consistency. We work very hard to create a great customer experience. Customers like consistency. They like what they are used to. They like what they have positively experienced in the past, and tend to want a repeat experience. So, what can you consistently do, over and over, that will build a positive and predictable tangible experience for your customers? This told me that I need to be consistent with the vegetables and fruit that I produce. Tomorrow I will tell you about how I am choosing what I am going to grow. This all falls into the area of Customer service as well as what do I do for land? The land has to be affordable, then I need to start building my plans on what the soil is like, as well as what products sell to the customers I serve. Looking forward to sharing what I find in my property search after this coming weekend! I found a Realtor to help us find what we need. May Barter for Fresh, Organic Food! How do I Start an Organic Farm on my Own? Posted 8:07 pm by Chris & filed under Organic Gardening. I wanted to start my own Organic Farm, But How do I do it on my own? I wanted to make sure that I could make an income, and afford to lease or purchase enough land to succeed at what I was doing! Since I have worked in the Health Care industry as an Insurance Billing and Coding Manager, I knew I had the ability to work with people. A stressful job, but I really enjoyed helping others get back to their purpose and passion. I wanted a break, so I wanted to start my own business that helps me live my passion for Large Gardens. How do I get all of the data and support that I need to build my passion into a business, and at the same time take care of my husband that is recovering from a few Heart attacks? So the research started in earnest. I needed to decide What and How to Grow in my Ecological Garden, to make sure it is profitable. Next, I wanted to ensure that we have enough land that is Organically Certified to ensure healthy crops. So I started with the Department of Agriculture Websites and this is the trend for farmers that I found. “Most farm operators are men. About 11 percent of principal farm operators are women. However, that represents a significant increase from as recently as 25 years ago, when less than 5 percent were women. Women generally operate farms that are smaller than average. Once primarily focused on beef cattle production, female principal operators have diversified their farm operations over the past two decades to include horses, aquaculture, and fur-bearing animals. Many farms, more than 40 percent, report more than one operator, and in most of these cases, the additional operators are women. When all operators are considered—not just the single principal operator of a farm—more than 30 percent of U.S. farm operators are women. I found this information on the Dept. of Agriculture Website. I also found out that Most farm households earn the majority of their income from off-farm sources and off-farm income is expected to increase by 3.0 percent in 2011, to 51,889. In contrast to the general farm household population, households associated with commercial farms (those with gross sales of $250,000 or more) derive the majority of their income from farming activities. Their median income from farming increased by 11.5 percent in 2010, and their total household income increased by 11.3 percent, to $117,854. Households associated with intermediate farms (those with gross sales less than $250,000 whose operators consider farming their primary occupation) also saw a substantial increase in total income, 11.6 percent, though it reflects greater income from both farm and off-farm sources. See the farm typology discussion below for more information on intermediate and commercial farms. Now with the knowledge of how many more women are starting farms with either a partner or family, my research will take on the aspects of what to sell and where will I find the land that I need to succeed. I do not particularly like to weed, I do much rather enjoy planning, planting and harvesting. There are many books and programs available, as well as some local college and online classes available, but I decided for me, to first start small, and have decided to use the Food 4 Wealth training. I will let you know how it goes and share my progress. Oh, I forgot to tell you that I found another woman who has built her farm from scratch with her partner, and she lives in Oklahoma. I was able to interview her and I got a lot of great information to get me going! My husband wants to help as much as he can also! Yahoo!! Sign up for my RSS Feed, and get my new Blogs as they come out. Share your story once I get the forum up and see if we can help each other make this year a Great Year! Is Your Homestead Safe from Contamination? Posted 7:39 pm by Chris & filed under Permaculture. Bill thought that his new homestead was safe from contamination. It was built just for him and his family, and Sandy, his wife, had helped with the design to truly make this their Dream Home! The creek ran through the back portion of the property, and was designed to not only provide the water for their 1,000 square foot garden, but also they built a small pond fed by the creek for fish and swimming. They had even had the water tested and followed the creek upstream 1 mile to make sure that it was safe. There were many people that lived along the creek, and there had never been any problems in the past, so no problems were expected. The first two years were Great! Life was good and they had received much food from the Garden, as well as had enough to share with their friends and family. But the third year crops did not seem to produce as much harvest for them. It had been a hard winter, with an excessive amount of runoff, so they thought it was just a fluke. Their family seemed to have more colds and flu symptoms that fall, and their energy levels just seemed to not be what it use to be. The fish in the pond had been washed away the previous spring due to the high volume run off, and the newly planted fish died off a little at a time. The pond had to be drained and cleaned, then refilled from the creek. The water still looked clean and after all, its water had been tested when they moved in. All tests originally came back as being healthy chemistry. Their children continued to struggle with the colds and flu symptoms off and on. The doctors kept coming up with the same diagnosis, cold or flu. They were eating right, exercising and drinking lots of water. Still, slow to no recovery. You know how it is, doing everything you can to stay healthy, but something just doesn’t seem to be right physically? Bill continued to try everything to help his family out, supplements from the health food store, putting water filters on his house water supply. There was some improvement in their energy level a few less colds. However, the symptoms never seemed to go away. What would you do if you were Bill and Sandy? Not sick enough to keep you from living your life, but not feeling quite right either? Finally, Bill and Sandy went to a holistic Naturopathic doctor that recommended having his home and surroundings checked for toxic contaminants. He recommended either the local county agriculture extension agent, or a private permaculturist. A call to the local county agriculture extension agent proved to be somewhat helpful. Bill was given some advice on what samples to take and to bring into a local lab to test for toxins and contaminants. A site visit would be 1 to 2 months out due to the size of the workload of the inspector. Bill and Sandy did not want to wait that long, so they went back to their Naturopath and sought some more help. The doctor started them on a cleansing/de-toxification diet, as well as had them contact a Permaculture expert that he knows. The diet change helped with the majority of the symptoms that they had been dealing with. Once Dan, the permaculture guy, came they were surprised at all of the information that he had for them. He not only took samples from their home, but also soil from their garden, as well as water samples from their creek and their pond. He also followed the creek up to its source, taking random samples along the way. Remove the garbage found unearthed during the large runoff the previous years, containing toxic chemicals that leached downstream to their property and beyond. Empty their pond and plant their garden with plants that will absorb the toxins, then dispose of those plants properly. Retest the soil after the cover crop is harvested and properly disposed of. Remove the liner from the pond, and either de-contaminate it or replace it once the water source path to it has been proven clean. Install a system to allow them to monitor water quality coming into their property prior to using the creek again as their water source. 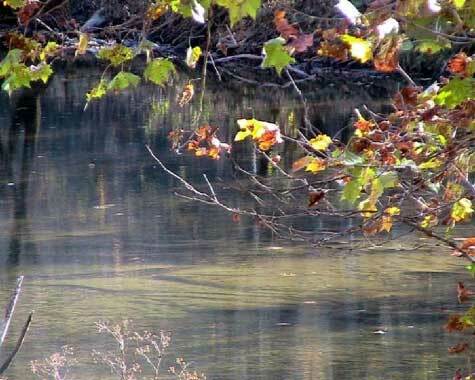 Periodically walk the banks of the creek and Eradicate any contaminants found. This was just one example of how learning about Permaculture will help you manage and maintain your home. I will share more examples of how these practices has improved the lives of those using the principles, as well as those that live around them. One way to ensure a healthy home, as well as provide your family with healthy foods is to practice ecological gardening. Even if you live in a high rise condo or apartment, you too can benefit from growing your own herbs and vegetables. What is in your environment that could possibly be affecting your health as well as that of your family and friends that come to visit? So, what does Permaculture mean to you and why should you care? Your family, friends, health and enjoyment of life are all integrated into your environment. In the Bible, God gave man dominion over all the Earth. Air, Land, Animals and Water. With the proper plan and implementation, your home on earth can become your own Garden of Eden! Check us out on Facebook to find out more about us! Leave a comment below and tell us what you want to know about your home and the problems that you want to fix, and we will answer in one of our upcoming newsletters.